We make just about anything a working cowboy or horse person would need or want. 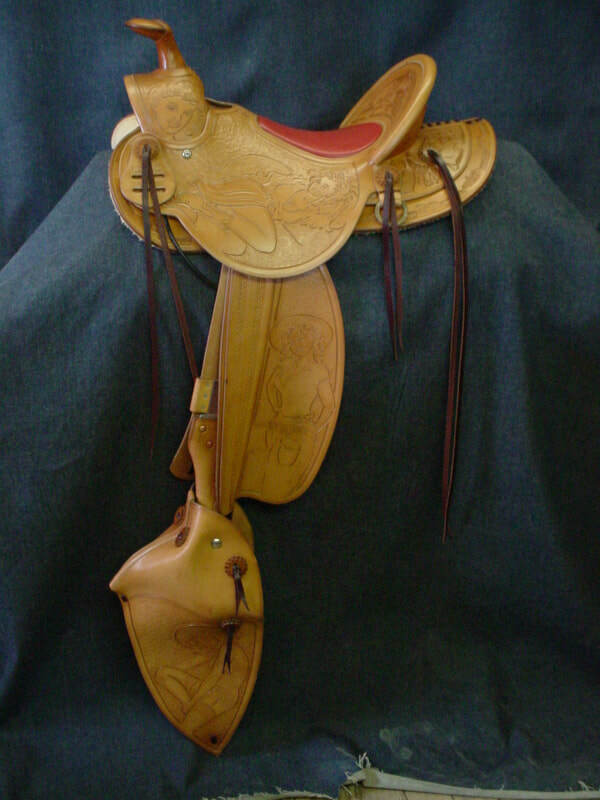 ​ Double H Ranch Saddle Shop carries most everything relating to saddles, tack and working cowboy gear. We have basic and custom saddles with many options and accessories to choose from. Chaps, Chinks, our very own Chinky Armitas, a large selection of bits, spurs, spur straps, headstalls, slobber straps, curb straps, stirrups, cinches, breast collars, Martingales, and specialty reins including Macates and Romal Reins. ​ We also carry bosals, whips, quirts, hobbles, saddle bags and pouches, Old Time Western Apparel to specialty ropes including rawhide braided Reatas and unique Maguey ropes and many types of hondas. All Saddles, leather strap goods and braided goods are hand made in our Saddle Shop located in Fort Collins, Colorado.